Learning to Lead: What Capacities Do Scientists of Tomorrow Need? Research capacity in Africa is increasing rapidly, and needs to expand at an even faster pace to ensure the continent and its youthful population can compete in the global knowledge economy in upcoming decades. Recent developments look promising: In the last four decades, Sub-Saharan Africa saw the fastest increase in tertiary gross enrollment rate worldwide, with a growth of 4.3 percent annually. At the same time, also scientific research conducted by African scholars reflected in the number of publications has increased rapidly in the last two decades. Yet, the complexity of the grand societal challenges reflected in the UN Sustainable Development Goals – amongst others, climate change, rapid urbanization, food production for a rapidly growing population, epidemic diseases or the decimation of certain species –, not only asks for more students and more impactful research. Rather, the entire globe needs inspired and inspiring young science leaders as a basis for home-grown solutions, tailor-made to the regions’ specific problems, and an academic environment in which these young talents can thrive. Beyond academic education, these talents need to be familiar with integrative management and leadership skills in order to enable fruitful collaboration across disciplines, institutions and countries, never mind the academia-societal divide. Understanding these needs and facing today’s grand challenges in a forward-thinking way, a number of actors has started to professionalize the training of the next generation of African academics. These inspiring actors have realized that the speed and quality of developing science capacity depends not only on infrastructure and the technical training of people, but is intimately linked to the quality and transformational power of leadership. Being a good scientific leader requires a vision and a strategy about how to realize this vision, and it requires early- and mid-career academics to plan their careers strategically, to build international networks and to accelerate change in their local environments (Denney et al., 2015). For example, the African Science Leadership Programme (ASLP), initiated and coordinated by the University of Pretoria, has so far equipped over 60 excellent mid-career academics from over 20 African countries with the skills to manage their career more strategically and to lead either research groups or institutions. With a different approach but the same goal, the PANGeA network – a network of eight leading African universities in the social sciences – trains students at research institutions such as Makerere University, Stellenbosch University or the University of Nairobi. The unique platform of the Next Einstein Forum (NEF) – gathering the most prestigious young and more senior scientists with decision-makers from policy, society and business – provides the opportunity to network actors engaged in science leadership and management trainings, and to discuss the challenges and chances of these programmes for the next generation of African scholars. As co-initiator of the NEF and supporter of a number of such training programmes, the Robert Bosch Stiftung is convinced that the global science community tremendously benefits from better integrating Africa’s young scientists as key drivers of change and that science leadership trainings empower these change-makers with the necessary tools. 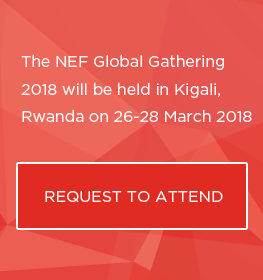 In order to spur mutual learning and exchange, we help to organize two events before and during the NEF Global Gathering. A pre-NEF Workshop will gather the representatives of a number of well-known training programmes – amongst others, ASLP, PANGeA, AREF, and AAS – and provide the platform to both map the current landscape of leadership and management programmes and the way forward. A strong focus is on including the programmes’ immediate target group, i.e. early- and mid-career academics like some of the NEF Fellows. Subsequently, in the NEF Session “Learning to Lead: What Capacities Do Scientists of Tomorrow Need?” on the second day of the Global Gathering, we will systemize the workshop’s outcomes for the broad audience and discuss how young African scientists and researchers can be supported and equipped for the challenging leadership tasks they are facing in their early to mid-career. The Session will comprise different perspectives on the needs for high-quality training, shed light on essential aspects of transformational leadership and discuss the role of female science leaders. To address these topics, the session will gather experienced scientists, policy-makers and leadership training experts from different institutions and countries. Source: Denney, F. et al. 2015: Developing the next generation: guidance and good practice in the leadership development of early career researchers and academics. 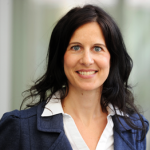 Dr. Katrin Rehak-Nitsche is Senior Vice President of Science and Research of the Robert Bosch Stiftung, one of the major German Foundations associated with a private company and founding partner of NEF. Amongst others, she is responsible for the topics “Research for Sustainability”, “Transformative Urban and Rural Spaces” and “Networking and Promoting Science”. Katrin Rehak-Nitsche holds a PhD in Geology and conducted her research at different universities such as Potsdam, Stanford and Edinburgh.